As the General Election looms closer to elect MPs on 6th May 2010, Right To Ride has launched its BikersRVoters campaign website. 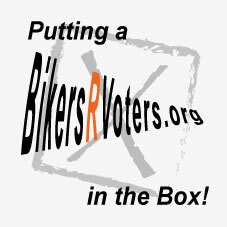 Bikers R Voters is a non – political lobby with no allegiance to parties and historical divides. What is important (for us at least) is whether motorcyclists even have a modicum of influence in the ‘corridors of power’ and whether we can affect policies and legislation regarding motorcycles and other related issues that surround motorcycling. Bikers may be Voters but there is no illusion here that motorcyclists as a community, won’t just vote for a motorcycle friendly politician, however it may have some influence to tip the balance, together with other major issues of concerns that we as voters face in our daily lives. The objective is to inform – listen – debate – with those who do not understand or have a different perspective regarding motorcycling and to stay engaged with those who fully understand the importance of motorcycling in Northern Ireland. We’d like to know what all parties think of motorcycling – what they can do for us in the various corridors of power and how they can implement this in the real world – a platform – a Political Soapbox for motorcycle policy issues. We also want to know the rider’s point of view – The Rider’s Soap Box gives the opportunity to express what riders think are the main issues for motorcycling. What you think the politicians should be doing and what they would do if they were in charge! 2010 is the 15th anniversary of “The Bigger Than Borders” demo that saw 3,000 motorcyclists ride from Belfast to Dublin in protest against proposed new European anti motorcycling laws and interference by the European Commission in motorcycling matters. This “megaphone diplomacy” still has its place in our armoury if there is no other option left. 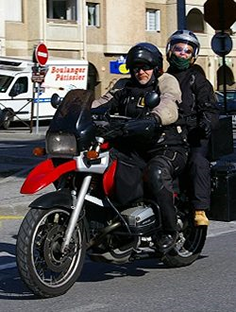 Who is in a better position to inform and communicate issues that effect motorcycling than the riders, either as individuals or organised as an effective lobby, armed with a knowledge of motorcycling?